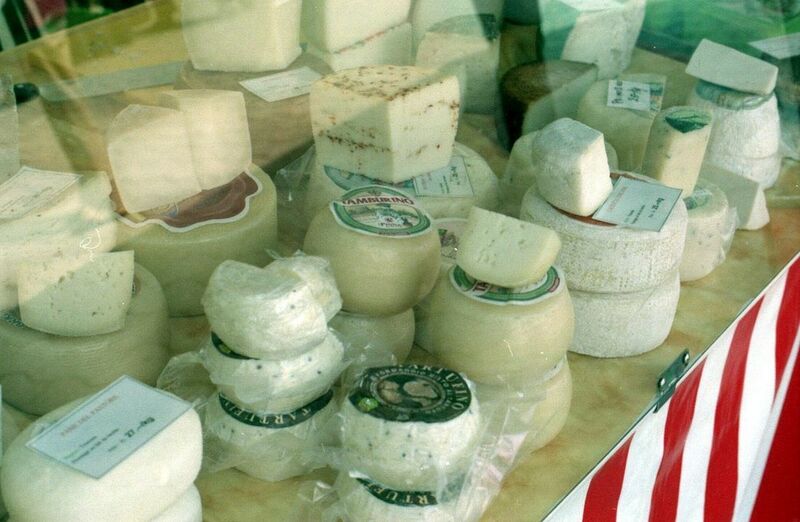 One of the best ways to get to know France is to visit a local market. For visitors, all of France can seem like a market—it's one of those rare countries where every region offers something worthwhile and distinctive. 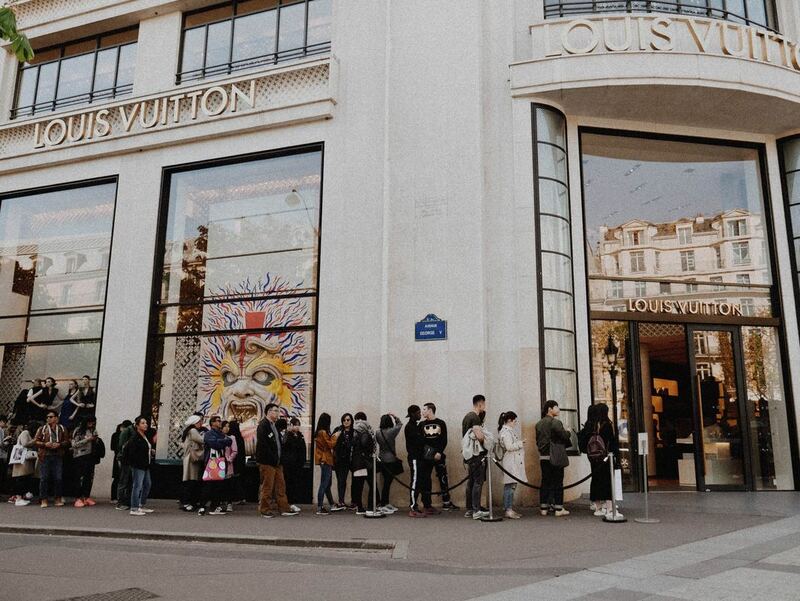 Paris represents the height of fashion, art and food—its sense of style is so strong it intimidates some visitors, yet the city can also be remarkably comfortable and intimate. 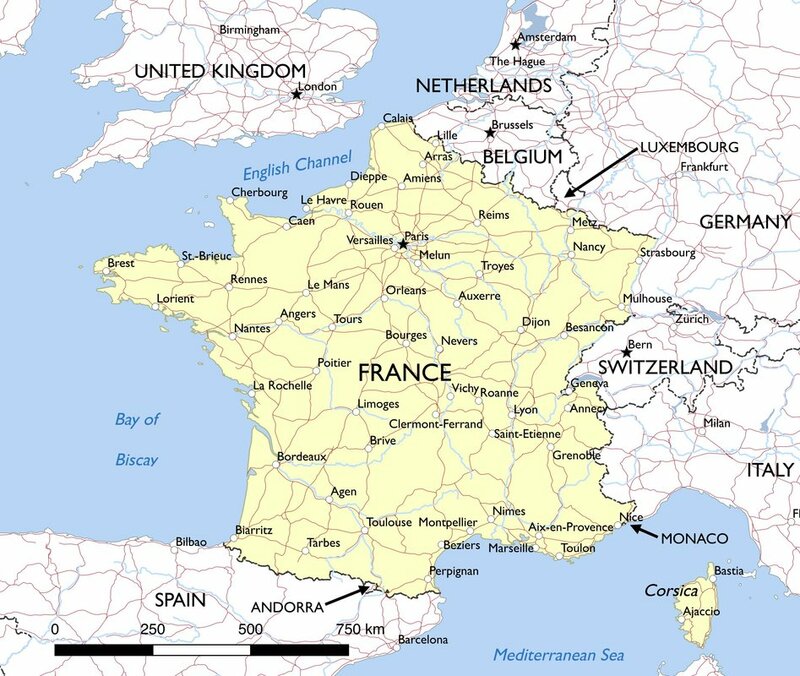 Each of the French provinces offers its own landscape and culture: the glittering crowds of the Cote d'Azur, the elegant chateaus of the Loire Valley, the hospitable vineyards of Bordeaux, the rocky coasts of Brittany, the dramatic slopes of the Alps and the Pyrenees, and the charming farms and villages of Provence. "The City of Light," has been written about, filmed and photographed countless times. Although it seems as if we all know Paris even before we see it, nothing compares to actually being there. Going to the top of the Eiffel Tower, walking along the Seine at dusk or sipping coffee at an elegant sidewalk cafe are quintessential Parisian experiences—and the wonder of it is that real life takes on an aura of magical make-believe, so that it seems just like being in the movies. World glass art , chic boutiques for designer shopping and restaurants, from inexpensive neighborhood bistros to the most refined and elegant gourmet establishments, will provide delightful meals. Paris inspires grandeur. From Napoleon's imposing Arc de Triomphe to Eiffel's pioneering tower and even to the whimsical Centre Pompidou, every notable landmark seems to have monumental proportions. But Paris has delights of a smaller, quieter nature; manicured parks and flower gardens give a green backdrop and a serene beauty to the broad avenues, soaring cathedrals and marble monuments. On the Left Bank, the 5th arrondissement neighborhood around the famed Sorbonne University is the Latin Quarter. The Quarter has always had an intellectual, international, bohemian character because of the influx of students who go to study in Paris from all over the world. 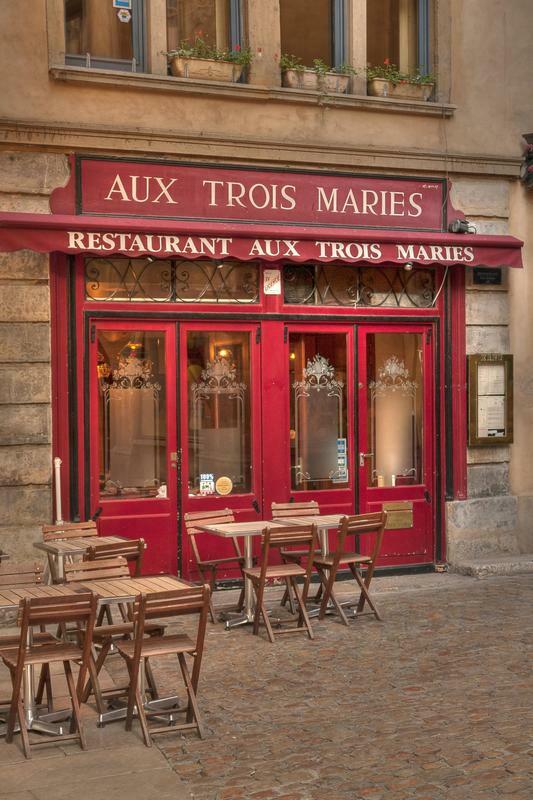 Its winding streets offer restaurants that cater to almost every budget, from student-friendly cafes to the trendier restaurants of St. Germain. Alternately, you can take a stroll in Ernest Hemingway's neighborhood on the popular Rue Mouffetard. Also on the Left Bank are the city's most famous domes: the gilded Hotel des Invalides—a military museum that includes Napoleon's tomb—and the colonnaded Pantheon, the final resting place of many French notables. To the west is the Eiffel Tower, originally built as a "temporary" exhibit as part of the 1889 Universal Exposition to commemorate the centennial of the French Revolution. From the Left Bank, cross Pont Neuf to Ile de la Cite with its two Gothic masterpieces, Sainte-Chapelle (a church with extraordinary stained-glass windows) and Notre-Dame Cathedral. On the Right Bank, the Centre Georges Pompidou (also known as Beaubourg), is one of the world's most novel structures with its "inside-out" colorful architecture; it also houses the city's best collection of modern art. A short walk to the east brings you to the national museum of Paris' most famous artist-in-residence, Pablo Picasso. 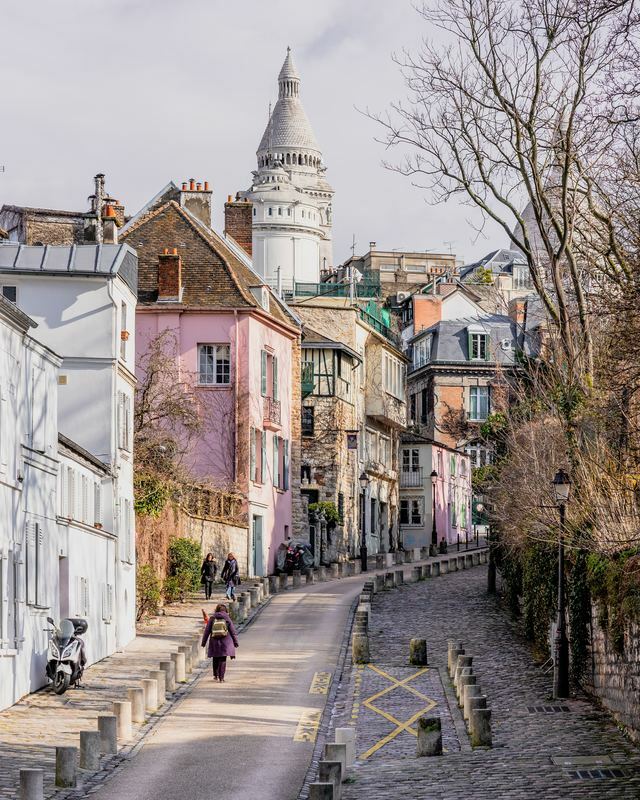 A bit farther to the north, set atop the hill of Montmartre, are the neighborhood's lovely cemetery and the white-domed splendor of Sacre-Coeur. In the very center of the Right Bank, along the river, is the Louvre, once the residence of French kings (until Louis XIV moved the royal court to his splendid new palace at Versailles). 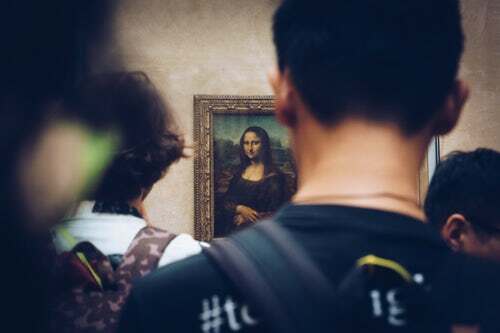 The Louvre is a massive museum housing many of the greatest works of art from ancient times through the 19th century—including three famous women: Venus de Milo, the Winged Victory of Samothrace and Leonardo da Vinci's mysterious Mona Lisa—and is impossible to digest in one visit. ​The Place de la Concorde, site of beheadings by guillotine during the French Revolution and tank duels during World War II, is at the opposite end of the Tuileries Gardens from the Louvre. The 3,300-year-old Obelisk of Luxor at its center was a gift from Egyptian viceroy Muhammad Ali to Louis Philippe in 1829; it has dominated the square ever since. Connecting the Place de la Concorde to the Arc de Triomphe, which commemorates the victories of Napoleon, is the magnificent Avenue des Champs-Elysees, lined with shops, showrooms, sidewalk cafes and cinemas. 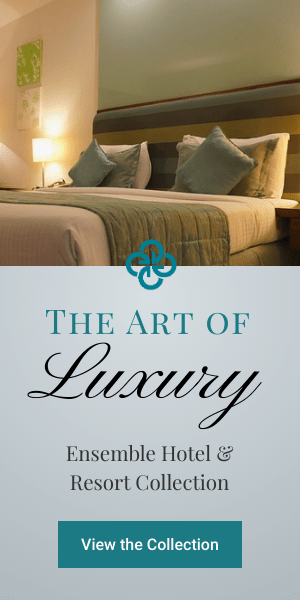 When you tire of monuments, visit the Rodin Museum, the dazzling Musee d'Orsay (19th-century and impressionist art) and the Cluny Museum (from Roman baths to medieval art, including the 15th-century tapestry series The Lady and the Unicorn). And when you're ready to relax, take an unabashedly touristy trip down the Seine on the bateaux mouches (sightseeing boats), have a seat on the terrasse of any nearby cafe while you enjoy an espresso or apero, or just pull up a chair and people-watch like a real Parisian in the beautifully manicured Luxembourg or Tuileries gardens. Lyon as a travel destination in France is still relatively undiscovered—the stunning city center remains a hidden treasure. Although Lyon's vitality is perceptible in ancient streets with restored buildings, there are still many pockets where renewal has yet to penetrate. These backstreets and courtyards may seem daunting to visitors, but the history embodied in so many of them makes even the most crooked staircases fascinating. Lyon is France's culinary capital, but the city is also known for its luminosity. Buildings and fountains are beautifully lit at night, giving Lyon a magical atmosphere. Cross the River Saone by one of its passerelle bridges on a summer evening at sunset, and you'll see the city of Lyon glow with a hazy, burnt-orange light. To start your exploration of Lyon, get your bearings in the breezy expanse of Place Bellecour, at the center of the Presqu'ile. Locate the statue of Louis XIV on horseback, stand and face the direction he's heading and you'll be looking north. The Saone is on your left, and on its opposite bank is the historic old town, Vieux Lyon, a maze of cobblestoned Renaissance streets and interconnecting alleyways. The Rhone lies to the right. Off to the north—and uphill—lies the district of Croix Rousse. Once you're oriented, seeing the city and its sights is easy. Head to Croix Rousse and explore the district's traboules (covered passageways) and stop in at the Maison des Canuts. Then amble back downhill, toward the Rhone. Winding paths with seemingly random flights of steps pass along the remains of Lyon's ancient city walls and offer tantalizing glimpses of the river. If you cross the Winston Churchill Bridge, you'll arrive at the gates of the Parc de la Tete d'Or. We like renting a rowboat on the lake there, but the park's zoo and rose garden are enjoyable, too. Basilica of Notre Dame and its neo-Byzantine art, ancient Roman amphitheaters and the must-see Musee de la Civilisation Gallo-Romaine. When you've had enough of the Romans, stroll through Vieux Lyon. The Presqu'ile is home to many of the city's museums, including the Musee des Tissus et des Arts Decoratifs and the Musee des Beaux Arts, with its collection of French masters and its lovely interior garden. But the best time to see the Presqu'ile is at night, when its buildings and fountains are all lit up. Paris can be expensive like any large city. Here is an article about FREE things to do in Paris. Take a trip to the top of this magnificent example of Napoleonic self-celebration. At 164 ft/50 m high, it is the world's third-tallest triumphal arch. Climbing to the top offers a view of the entire city. Twelve avenues (courtesy of Haussman) radiate outward to create the Etoile (star), while the Arc itself is decorated with larger-than-life sculptures and friezes. Underneath it lies the Tomb of the Unknown Soldier. The safest way to get to the monument is through the tunnel on the north side of the Champs-Elysees (near Avenue de la Grande Armee); traffic in the rond-point (circle) is perilous, so don't try crossing above ground. April-September daily 10 am-11 pm; October-March daily 10 am-10:30 pm. Guided tours available with advance reservation (phone 01-4461-2206). 12 euros adults. At the end of the 18th century, millions of bones of Paris' dead were transferred to these underground quarries when their previous resting place, the Cimetiere des Innocents, became overcrowded and a serious health risk for the neighbors. The Catacombs also served as French resistance headquarters during World War II; the Nazis never discovered their secret use. Nowadays many thousands of people enjoy visiting this underground labyrinth. Be aware that the tour of the catacombs is 1 mi/2 km long and requires descending 130 steps and walking up 83 more. Also on-site is the Port-Mahon sculpture gallery, where visitors can view a fine relief sculpture of the Port-Mahon fortress. Tuesday-Sunday 10 am-8 pm. 12 euros adults. This 1,063-ft/324-m, 10,100-ton marvel of metal latticework was completed in 1889. Derided as a "hideous lamppost," it offended many prominent Parisians who wanted to preserve the city's aesthetics and was almost disassembled in 1909. But after its radio-tower capabilities were discovered, it remained intact and became a symbol of Paris. Until 1930, when the 1,048-ft-/319.5-m-tall Chrysler Building was built, the Eiffel Tower (then measuring 1,023 ft/312 m) was the tallest building in the world. The views from its three levels are extraordinary—well worth the wait in line. The interior lighting system makes the tower look like a big golden candle at night. Every hour on the hour, the tower shimmers and sparkles for five minutes (from nightfall to 1 am in winter and till 2 am in summer). Daily 9:30 am-11 pm, till midnight in summer. The last entrance is 45 minutes before closing time. Prices range 7 euros-17 euros. Built in the late 19th and early 20th centuries atop Butte Montmartre, the highest hill in Paris. (One of the origins for the name "Montmartre" is "Mount of Martyrs" because it was the place where Saint Denis was martyred late in the third century.) Its strong Romano-Byzantine influence, with the central white marble dome surrounded by smaller white domes, gives it the look of a wedding cake, or a mosque. It is visible from many spots around the city. Climb to the dome for a fabulous view of Paris. At the top of the steps leading up to the church (you can also avoid the climb by taking the Funiculaire for the price of one Metro ticket), there's a plaza with a great view, and just beyond the church around the cobblestones is the lovely market square of Place du Tertre, with shops, cafes and artists painting. Street performers put on shows that range from delightfully silly to utterly inane. Daily 6 am-10:30 pm. Basilica free. This remarkable 12th-century cathedral stands majestically on Ile de la Cite. It has the features you'd expect from a great Gothic church: towers, flying buttresses, even gargoyles to repel evil and keep rain in its proper place. The inside glows with stained glass, especially the 30-ft/9-m Rose Windows. The bell in the south tower is heard only on the most solemn occasions. The 11th-century organ, which has 8,000 pipes, is played in concerts every Sunday except during Lent. You can also visit the Cathedral Treasury, which is worth the small fee. Excavations around Notre-Dame in preparation for a parking garage revealed Gallo-Roman, late Roman and medieval ruins, which are now preserved in an underground museum known as the Crypte Archeologique. The cathedral is open daily 8 am-6:45 pm (till 7:15 on Saturday and Sunday). The cathedral is free to visitors; admission to the Cathedral Treasury is 3 euros adults, to the crypt 4 euros adults, to the tower 10 euros adults. Free guided tours in English on Wednesday and Thursday at 2 pm, Saturday at 2:30 pm. Considered the masterpiece of the Second Empire, Paris' original opera house (also called the Palais Garnier after the architect who designed it) is an opulent example of 19th-century theatrical architecture and a source of tremendous pride for Parisians. It has been restored to its original ornate marble grandeur: Highlights include the sumptuous onyx-and-marble staircase and the elaborate facade, decorated with a replica of Carpeaux's sculpture group La Dance. The famous ceiling fresco by Marc Chagall (completed in 1964) is in the auditorium and also viewable through the VIP tour. Don't miss the small Opera Library-Museum in the West Pavilion, with its collection of costumes, posters, sketches and decor from past productions. Daily 10 am-4:30 pm. 11 euros adults. Tickets and access via side entrance, corner of Rue Scribe and Rue Auber. The Pantheon dominates much of the city's left bank skyline. This enormous neoclassical structure was planned as the church of St. Genevieve, but it was completed after the onset of the French Revolution and converted to a secular mausoleum. Voltaire (the pen name of Francois-Marie Arouet), Jean-Jacques Rousseau, Victor Hugo, Emile Zola, Marie and Pierre Curie, World War II resistance leader Jean Moulin and writer Andre Malraux are all buried inside. Solemn frescoes by Puvis de Chavannes decorate the walls, underscoring this monument's funereal solemnity. Foucault's Pendulum, which was conceived in 1851, is on display there. April-September, visitors can also climb more than 200 steps to the monumental colonnaded dome. April-September daily 10 am-6:30 pm; October-March daily 10 am-6 pm. Last entry 45 minutes before closing. 8.50 euros adults. Hidden away in a courtyard of the Palais de Justice on Ile de la Cite, this medieval church, constructed by Louis IX (St. Louis) in 1248, stands like a jewel, with its Gothic architecture and stunning stained-glass windows that are best appreciated in the early-afternoon sun. There are two levels to the church—the upper chapel, which was reserved for the royal family, has a massive vaulted ceiling and decorations of the apostles on its columns. The lower chapel is dedicated to the Virgin Mary with fleur-de-lis columns. The church is often used as a site for classical-music concerts. Daily 9 am-5 pm; last entry 30 minutes before closing. Admission 8.50 euros adults. Museums in Paris are generally closed one day a week (usually Monday or Tuesday) and on certain public holidays; check in advance to be certain that the museums you want to visit are open on the day you plan to go. Students, seniors and professionals can qualify for reduced rates of admission, so it is a good idea to carry appropriate identification. Many museums have at least one night a week with later hours. The Pompidou Center, which many locals call "Beaubourg" after its neighborhood, opened in 1977 amid a whirlwind of controversy. The building, designed by Richard Rogers, Renzo Piano and Gianfranco Franchini, appears to be turned inside out, with pipes, heating ducts, wires and girders visible. Critics called it "the refinery" or "the fridge." Bizarre, colorful and somehow beautiful, it houses an excellent permanent collection of 20th-century art, including works by Matisse, Braque, Delaunay, Leger, Chagall and Andy Warhol. Do not miss the bookstore for its selection of art books. There's also a trendy, futuristic bar and restaurant, Georges, on the sixth floor with an outdoor terrasse that has excellent views of the entire city. Galerie Sud, on the south side of the museum, houses special temporary exhibits. Off the outdoor plaza is the re-creation of the atelier of sculptor Constantin Brancusi (1876-1956), which contains many of his smooth, abstract sculptures and works-in-progress. Fans of the "French in Action" language series will no doubt recognize the Stravinsky Fountain with its colorful mechanized sculptures. The Pompidou Center also houses a movie theater showing classic and first-run films. Set amid gardens and playgrounds in Parc de la Villette, this sprawling museum complex features interactive exhibits on space technology, computers, astronomy and marine biology. One of the main attractions is the excellent planetarium. The museum also includes the Cite des Enfants, which has hands-on exhibits geared to children ages 3-12. Tuesday-Saturday 10 am-6 pm, Sunday 10 am-7 pm. 12 euros adults. Just across the Seine from the Musee d'Orsay, the Orangerie started its life as a serviceable part of the royal gardens, but long after France became a republic, Claude Monet chose this as the location to display the masterpieces of his Water Lilies collection—eight enormous canvases that surround the art lover in two oval rooms designed especially for these works. The Water Lilies rooms include skylights to flood the space with natural light. You can visit this small museum in only one to two hours. You can also view the delightful Jean Walter and Paul Guillaume collections of modern art featuring Cezanne, Renoir, Picasso, Rousseau, Matisse, Derain, Modigliani and many more. Daily except Tuesday 9 am-6 pm. 9 euros. Paris' most popular museum after the Louvre, this beautifully renovated, belle-epoque one-time train station houses paintings and sculptures created from 1848 to 1914. Highlights include Manet's Dejeuner sur l'Herbe, Whistler's portrait of his mother, iconic works by Toulouse-Lautrec, Gauguin, Van Gogh, Rodin and Cezanne, plus Monet's five paintings of Rouen Cathedral. You'll also find architecture, photography, decorative arts (furniture, silver, porcelain), jewelry, and a wonderful scale model of the Opera Garnier and its environs. Note: Save your Orsay ticket to visit the Opera National de Paris and the Gustave Moreau National Museum within one week at a reduced rate. The Louvre was the seat of French royalty from the 12th century. It was built by Philippe Auguste, and you can still see remnants of the original foundations if you enter via the Metro at Palais-Royal—Musee du Louvre. In the late 1600s, Louis XIV moved the royal court to Versailles, and the Louvre was used to house the royal collections but was not open to the public. In the wake of the French Revolution, the Louvre was formally declared a museum by the new republican government. The Louvre underwent a major expansion in the 1990s, beginning with the controversial I.M. Pei-designed glass pyramid at the entrance and continuing with the Sackler Wing (financed by U.S. philanthropists Mortimer and Theresa Sackler), the Musee de la Mode et du Textile (Museum of Fashion and Textiles), and an underground shopping area called the Carrousel du Louvre (one of the few places to shop in Paris on a Sunday). The Egyptian Wing is also open, and the Galerie d'Apollon has been restored to a magnificent gilded and painted glamour. The Louvre has on display a dizzying number of works, from Egyptian, Greek and Roman antiquities to paintings and sculpture of the 19th century. Some of the most famous are the Venus de Milo, the Winged Victory of Samothrace, Michelangelo's Slaves and Leonardo da Vinci's Portrait of Mona Lisa (follow signs for La Joconde—the painting's French name). There is no way to see everything in one day, so for your first visit, choose a wing, period or artist to concentrate on and plan to return. Advance tickets are available online. The Mona Lisa is in the Salle des Etats in the Denon Wing, within close proximity to the Winged Victory and Venus de Milo. Pick up a map at the visitors desk and follow the signs for these works. If you have a very limited amount of time and want to see the highlights, you can rent a "Masterpieces" audioguide. The Louvre plays host to around 9.3 million visitors per year, and 35,000 works, just one-tenth of its total collection, are permanently displayed. When all the art has worn you out, take a break in the beautiful Cafe de Marly, set in a side wing of the Louvre. Enjoy the view of the pyramid from the wind-protected arcades. Tip: To avoid the super-long lines at the pyramid entrance, enter through the underground entrance in the Carrousel shopping area; access via the Metro or via some slightly obscure steps near the Carrousel arch at the entrance to the Tuileries. Built atop the remnants of the city's original Gallo-Roman thermal baths (built between the first and third centuries), this 15th-century cloister once housed the abbots of Cluny; now it's home to a magnificent collection of tapestries (most notably The Lady and the Unicorn series), medieval sculpture and armaments, illuminated manuscripts and stained glass. Be sure to see Paris' oldest sculpture, Pillar of the Boatmen, made in the early first century. Contemporary gardens inspired by the medieval collections provide a wonderful place to enjoy a few moments of quiet in the bustling 5th. Once home to the artist himself, this stately mansion is the perfect setting for Auguste Rodin's glowing white marble sculptures, and the beautiful garden is full of surprises. Some of the highlights include The Thinker, The Kiss, The Gates of Hell and a sculpture of the very rotund novelist Honore de Balzac. One room is dedicated to Rodin's mistress and student Camille Claudel, whose works have come to be fully appreciated only in recent decades. There is a cafe on-site with outdoor seating. The Discovery Palace is part of the Grand Palais, an art-nouveau glass-and-steel structure built for the 1900 Universal Exposition. It offers exhibits and films about dinosaurs, mineralogy, nuclear physics, earth sciences, math and chemistry, as well as an excellent planetarium. 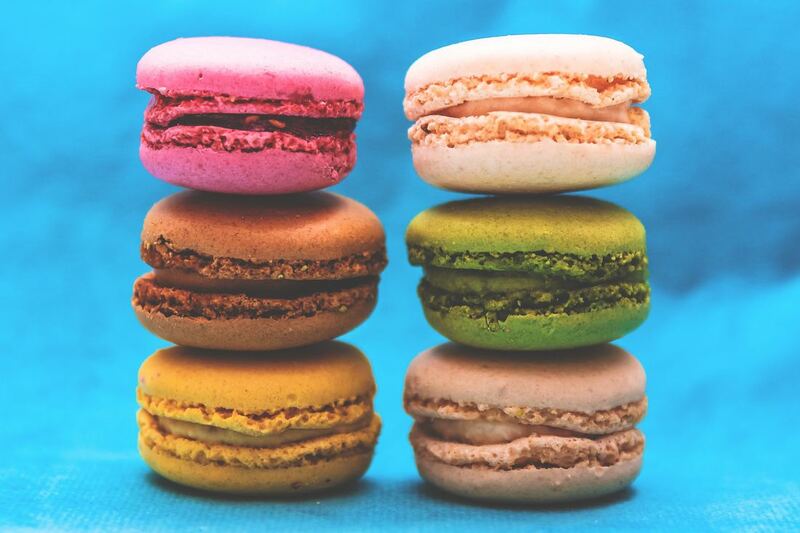 Paris is world-renowned for its perfume, wine, cheese, chocolate, haute couture, fine jewelry and antiques. But visitors should also be aware that the city offers some excellent, high-end manufactured goods, including Limoges porcelain, Lalique crystal, enamel, hand-blown glass and cookware. Discriminating palates will also want to seek out local cognacs, mustards and, of course, foie gras. From the sophisticated Saint-Honore area to the funky and eclectic Marais, Paris has a shopping district to suit everyone's taste. 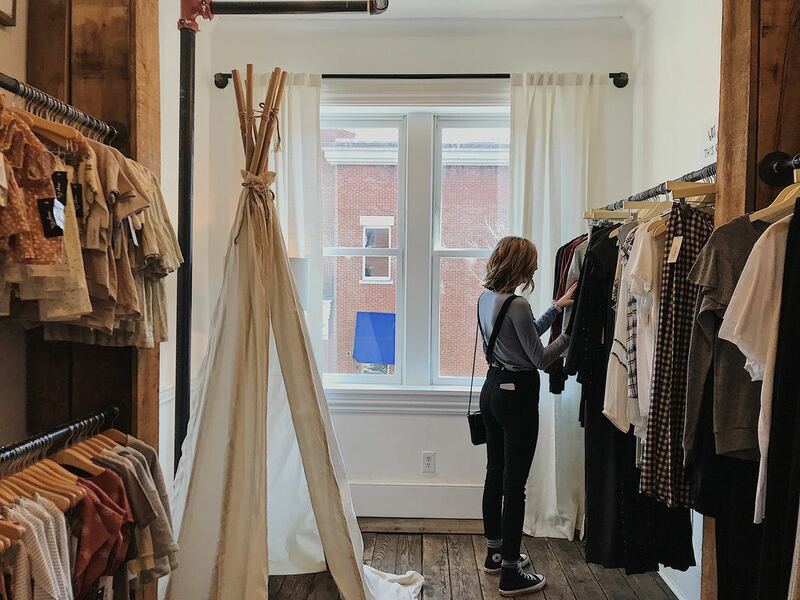 In an era of malls, this city still offers thousands of intimate specialty shops, as well as large department stores. 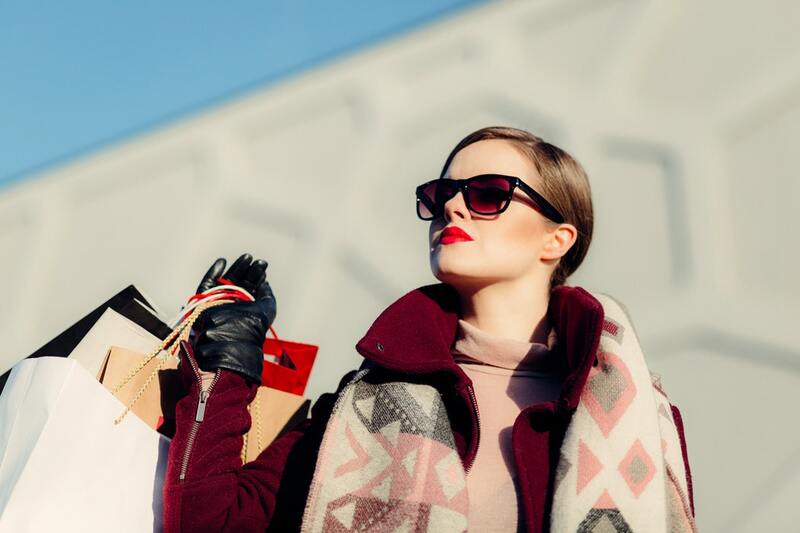 For haute couture, head for the 8th arrondissement, particularly Avenue Montaigne or Rue du Faubourg Saint-Honore. Many shops on Rue Royale specialize in high-quality jewelry. Place Vendome in the neighboring 1st arrondissement is home to more fine jewelers, including Cartier, Boucheron and Van Cleef & Arpels. In the Marais (the 3rd and 4th arrondissements), chic boutiques, kosher butchers and traditional bakeries thrive side by side along winding medieval streets. Start with Rue des Francs-Bourgeois and plan for a busy afternoon (this is one area where more shops tend to stay open on Sunday; it's popular on the weekend). 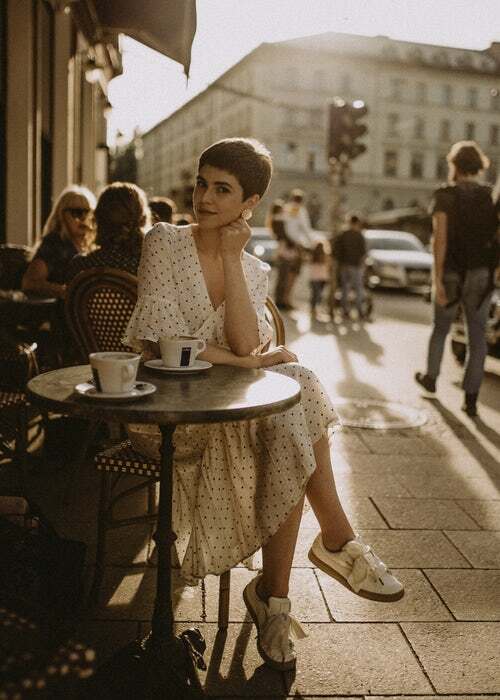 There's a fantastic selection of upmarket clothes and shoe shops on the Left Bank in the St. Germain neighborhood. One of the oldest open-air food markets of Paris is held in Place d'Aligre (12th arrondissement) off Rue de Cotte. The famed Marche aux Puces (Flea Market) at Saint Ouen/Porte de Clignancourt is not the bargain-hunter's paradise it once was. You can still find interesting things there, but prices have gone up, and there are more stalls selling clothes and name-brand athletic shoes. (Note: You need to walk past the first block of temporary stalls to get to the permanent stalls, which have more of the antiques and interesting finds.) Another flea and antique market (brocante in French) to try is Vanves (14th arrondissement). Always take small bills and coins: It's easier both for vendors to make change and for you to haggle. Other fascinating markets include the outdoor food markets held each week in every arrondissement, the flower markets on Ile de la Cite, and the green bouquinistes full of old books, prints and maps along both banks of the Seine. (Look especially on the Quai du Louvre and the Quai de la Megisserie on the Right Bank, and the Quai des Grands Augustins and Quai Malaquais on the Left Bank.) For fresh produce, meats and cheeses, head to any outdoor market; the Marche Bastille (11th arrondissement, open Thursday and Sunday) is especially large and popular. Keep in mind that the formality of French life extends to shopping customs. Don't be surprised if you get a dirty look from a sales clerk if you enter a store and begin handling everything. To avoid this, try to do as the locals do. On entering a shop, greet a clerk or shop assistant and any customers with "Bonjour, Monsieur" or "Bonjour, Madame" then ask for assistance—you're more likely to receive a smile and the clerk's undivided attention with this show of manners. And remember, the polite way to inquire if someone speaks English is to ask it in French: "Parlez-vous Anglais?" Upon leaving, be sure to offer an "Au revoir, Monsieur/Madame." The French consider it impolite to try and slip out of the store without announcing your departure and thanking them (even if they didn't directly help you). 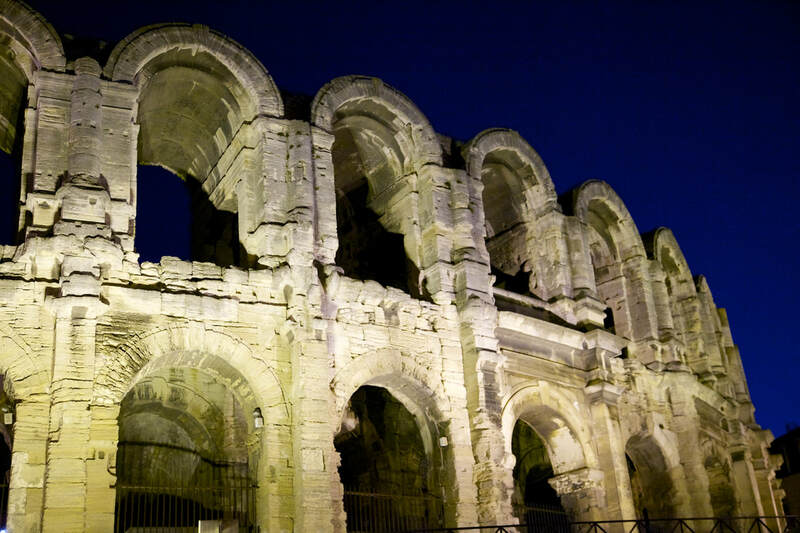 Built at the beginning of the first millennium, this ancient Roman theater wasn't unearthed until the 20th century. It's famous as the site where early Christians were martyred in AD 177 under Marcus Aurelius. Among them was St. Blandine (a pillar marks the spot where this took place). The amphitheater can only be viewed from the outside. This is the conspicuous, huge white church on Fourviere Hill, above Lyon's old town. Built in 1896 as a thank-you to the Virgin Mary that the Prussians didn't invade Lyon in 1871, it contains impressively detailed neo-Byzantine mosaics. Climb to the top of the hill or take the funicular train from Vieux Lyon station. The church museum houses unique religious artifacts, including liturgical vestments, and gold and silver vessels and objects. The museum also tells the history of the basilica. The northeast tower of the basilica (La Tour de l'Observatoire) is the best vantage point for enjoying a panoramic view of Lyon and the Alps beyond. The adjoining esplanade offers a magnificent view, as well. Basilica open daily 8 am-7 pm. Museum open daily 10 am-12:30 pm and 2-5:30 pm (closed mid-December to mid-April). Esplanade open daily 6 am-9:30 pm, extended hours May-September. Free entry to the basilica. Museum admission 2.50 euros adults. The two ancient Gallo-Roman theaters (an amphitheater and an odeum) on Fourviere Hill bear witness to Lyon's importance as a city of the Roman Empire from the first century BC. The views are great, too. Concerts and plays are held each summer in the theaters, weather permitting. Mid-April to mid-September daily 7 am-9 pm; mid-September to mid-April daily 7 am-7 pm. Free. Stroll through the narrow, cobblestoned streets of this old Renaissance town and you'll get a sense of the area's history. Many of the buildings have ornate facades, and plaques on buildings and doorways describe (in French and English) the district's most important events and past inhabitants. Small traboules link the two main streets (Rue du Boeuf and Rue Saint Jean). Feel free to push open the doors to any of the buildings that have signs by them indicating a traboule to discover the magnificent medieval and Renaissance courtyards, artisan galleries and staircases hidden behind them. The city has arranged with owners to keep these historic passageways open daily, usually until 5 pm. Pick up a map of the traboules at the tourist office, or take a guided tour. It's best to go on Monday-Friday mornings to avoid the crowds. Lyon is renowned throughout France and the world as a center of gastronomic excellence. This enviable reputation draws millions of visitors, and restaurants in Lyon are busy year-round. Many restaurants carry the title bouchon ("cork-sized" restaurant), offering home-cooked dishes from the Lyon area. Typical dishes include salade Lyonnaise (a simple combination of salad leaves, poached egg, chunks of fried bacon and croutons), andouillette (a strongly flavored tripe sausage) and quenelle de brochet (a large fish dumpling usually baked in a rich seafood sauce). A popular way to conclude a meal in a bouchon is with a portion of Saint Marcellin (a strongly flavored soft cheese) or with creme brulee. Look for the sign Authentique Bouchon Lyonnaise near the entrance, a restaurant's official recognition as offering the traditional Lyon culinary experience. 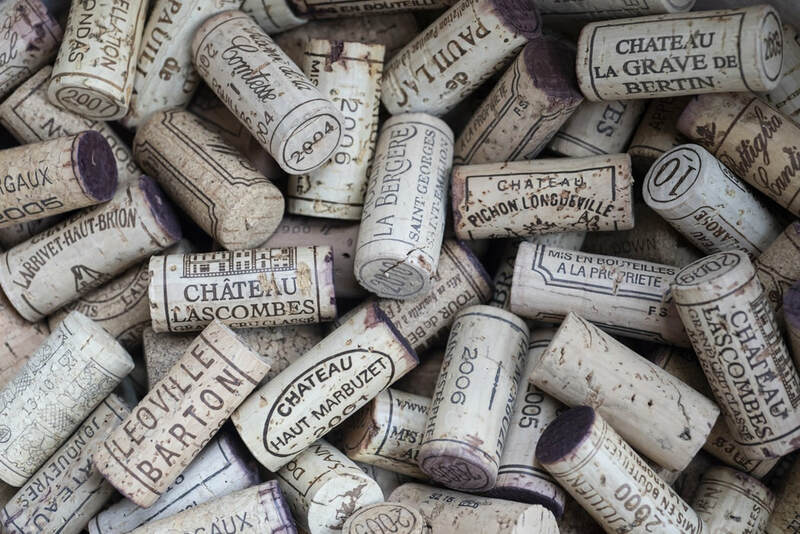 Although Beaujolais is the most famous local wine, it's certainly not the first choice of the Lyonnaise, who traditionally have chosen a more serious Cote du Rhone when dining out. Try a St. Joseph or a Croze Hermitage with a typical Lyonnaise bavette (lyonnaise-cut steak) and potatoes au gratin. Although many foreigners (and Parisians) are put off by some of the more unusual local specialties, such as tablier de sapeur (tripe), andouillette or gratons (greasy, fried snacks), you can always find traditional French cuisine, as well as a variety of regional and international fare, prepared to perfection by Lyon's master chefs. 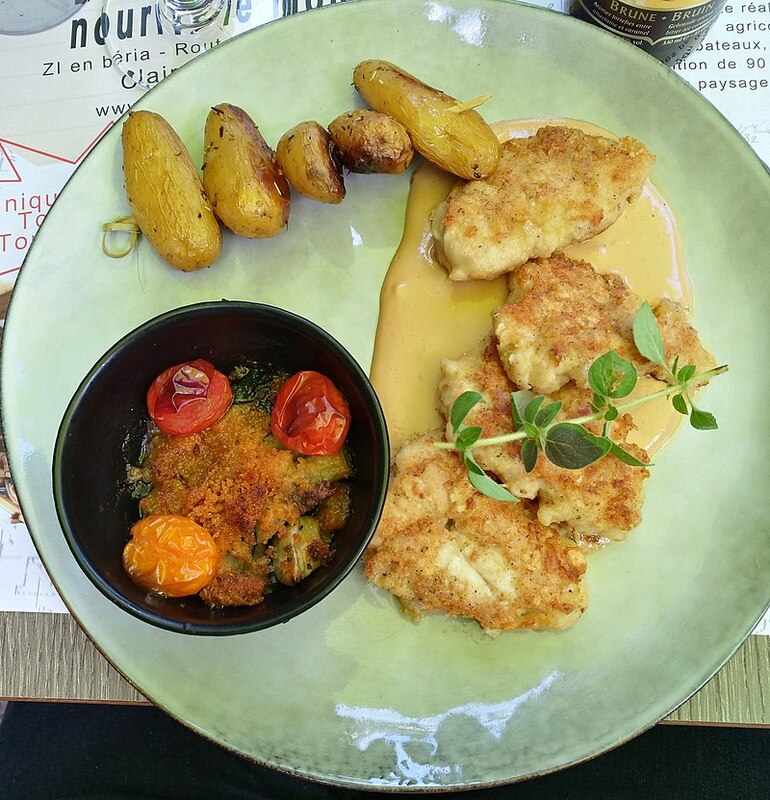 When dining in Lyon, you'll always get the best deal by ordering a formule, which is a set meal at a fixed price, with the possibility of some individual variation or choice. Most restaurants will offer more than one set menu. Restaurants are scattered all over Lyon, and many are well worth a walk out of the city center. The greatest concentration of restaurants is on either side of the Saone, in Lyon's old town along Rue Saint Jean and Rue du Boeuf, and in the Presqu'ile along Rue Merciere (but beware of tourist traps). 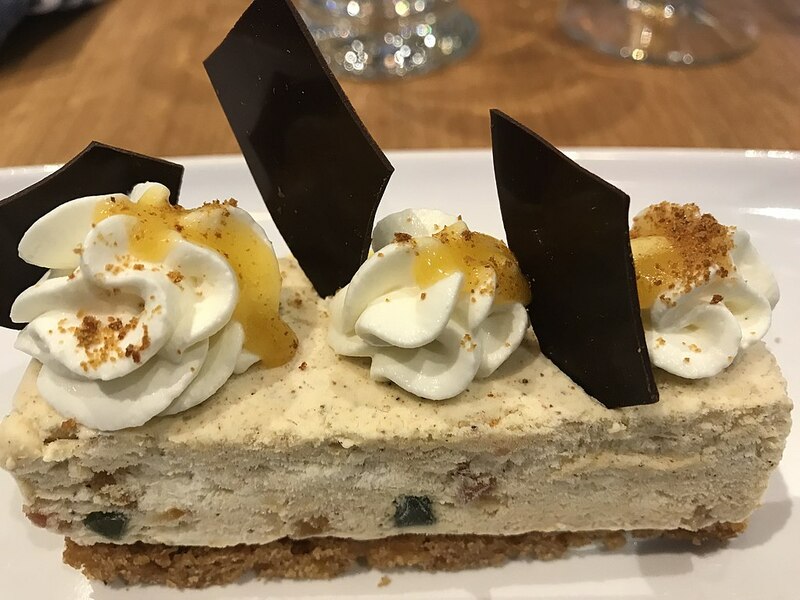 Although reservations are highly recommended in the best-known establishments and on weekends, you'll always be able to find a table without compromising on choice. Also, try the slightly less populous streets leading off Place Bellecour (Rue du Colonel Chambonnet, Place Antonin Poncet and particularly Rue des Marronniers), which offer slightly more tranquil options. Elegant bouchon with a long culinary tradition. When it was still called Le Cafe des Primeurs, it was a favorite place for French writers such as Paul Eluard and Michel Aragon. The decor upstairs is nicer. Excellent Lyonnaise cuisine and a good place to try hearty dishes such as boudin, andouillete, lamb knuckle or tete de veau (calf's head). Tasty desserts. Tuesday-Saturday for lunch and dinner. Reservations recommended. $$-$$$. Most major credit cards. The oldest brasserie in the city, this traditional Lyonnaise establishment dates from 1836. The huge, stylish dining room has an atmosphere reminiscent of a 1930s ocean liner's ballroom, and the dishes are hearty, generous and diverse. Try the choucroute, seafood or steak. A good selection of beer is brewed on the premises. Sunday-Thursday 11:30 am-11 pm, Friday and Saturday11:30 am-12:15 am. Reservations recommended. $$. Most major credit cards. Step back in time in Lyon's oldest bistro, where the decor doesn't seem to have changed for at least a hundred years. But its history is much older. In 1630, the two famous French cardinals Richelieu and Mazarin met there to discuss politics, and the French filmmaker Bertrand Tavernier used the venue to film scenes of his famous 1974 movie The Watchmaker. It is still a good place to sample Lyonnaise cuisine, and you are wise to stick to the much cheaper set menu. Try the terrine maison or quenelle de brochet (pike dumplings). Monday-Saturday for lunch and dinner, Sunday for lunch only. $$-$$$. Most major credit cards. 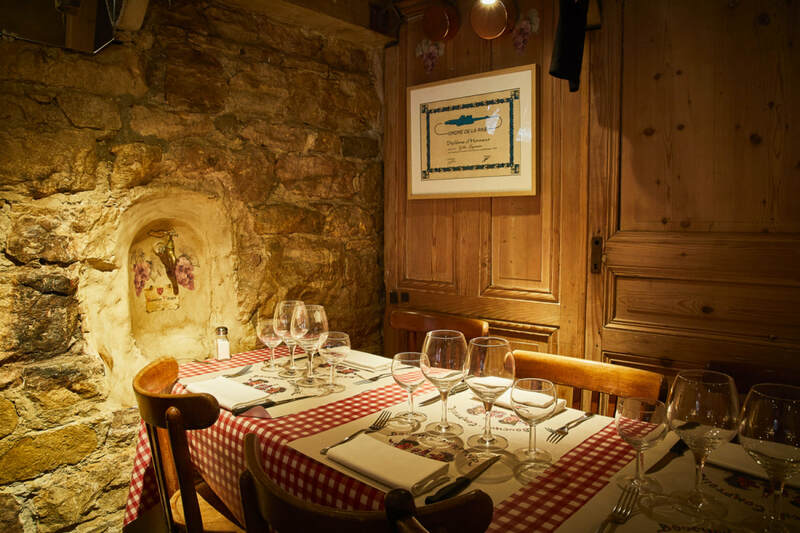 An officially recognized Lyonnaise bouchon, this famous restaurant is one of the best in town. As such, prices are slightly higher there than at other bouchons, but it offers a unique dining experience. 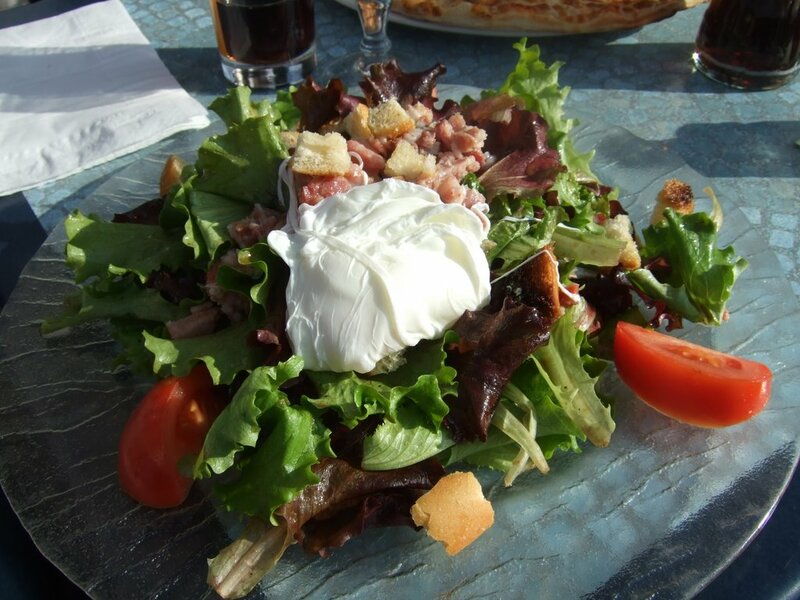 The menu includes all the traditional Lyonnaise dishes. Friendly, often crowded atmosphere. Monday-Saturday for lunch and dinner. $$. Very cozy Lyonnais bouchon, with each individual table decorated differently. Serves traditional local cuisine with flair. Try the mille-feuille of duck tartar and the homemade cassoulet. Monday-Saturday for dinner only, Sunday for lunch and dinner. Reservations recommended. $$. Most major credit cards. This hotel dining room offers French style with international flavors. Chef Michel Chavet's imaginative menu uses fresh, seasonal ingredients and changes regularly. The atmosphere is serene, the service impeccable. It's an inspiring dining experience. Tuesday-Saturday for dinner. Reservations recommended. $$$$. Most major credit cards. This restaurant serves a variety of hearty French foods. 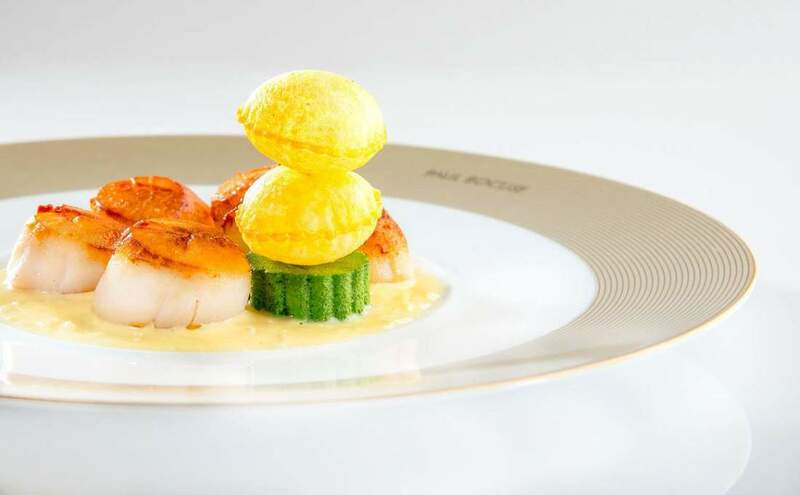 It's just what you'd expect from a Paul Bocuse establishment—one of four named after compass points, and the most French of them all. Traditional Lyonnaise dishes and ingredients are accompanied by the best local wines and enhanced with flavors from farther afield. The service is attentive and crisp. Daily for lunch and dinner. Reservations recommended. $$$. Most major credit cards. This is one of the greatest restaurants in Lyon, where chef Jean-Paul Lacombe continues to produce food of the highest standard. Try his suckling pig or his version of the local quenelles. It has been refurbished and merged with the Brasserie Le Petit Leon. Daily noon-2 pm and 7-11 pm. Reservations required. $$$$. Most major credit cards. For those who like Perigord specialties such as foie gras, frog legs, fricassee of porcini mushrooms, escargots and duck prepared with cognac, this is the place to go. The adventurous may want to try kangaroo fillet. Tuesday-Saturday for lunch and dinner. Reservations recommended. $$-$$$. Hailed as the father of French gastronomy, Paul Bocuse is by far the most famous established name in French cuisine. This celebrity chef's restaurant is located in his birthplace home a few miles/kilometers outside of town. Service is impeccable, and the meals are exquisitely prepared (fresh fish is a specialty, as are the duck and game dishes). A greeting by the chef himself is not unusual. Daily noon-1:30 pm and 8-9:30 pm. Reservations required. $$$$. Most major credit cards. Step into this authentic Lyonnaise bouchon and you'll know you're in France. Red-and-white checkered tablecloths, traditional tiled walls and decor, plus Lyonnaise dishes deliciously prepared in a kitchen so small the chefs can't turn around. ​Resting alongside the Rhone River about 60 mi/100 km northwest of Marseille, the Provencal city of Avignon is known as the city of the popes—Pope Clement V moved the papal court to Avignon from Rome in 1309 and Pope Benedict XII commissioned the construction of the Palais des Papes, the papal palace. Work on the construction was continued under Pope Clement VI and was completed in 1363. 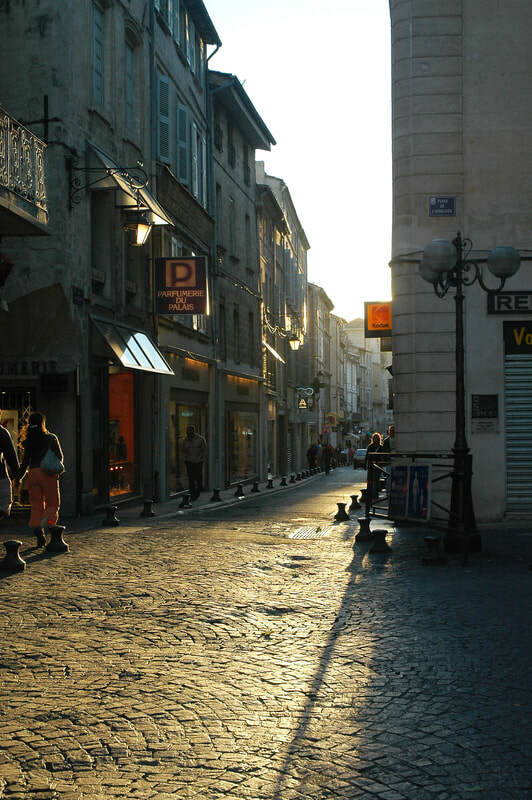 In Avignon, as in other towns in Provence, you will see specialty shops flourish despite larger stores and supermarkets also having a presence. Separate small shops such as boulangeries (bakeries) and patisseries (selling cakes and pastries) as well as other specialty food shops are scattered throughout town. Markets are plentiful and are mostly morning affairs. Most nonfood shops are open 9 am-7 pm Monday-Saturday, but many close at lunch and on Monday morning. Small shops may close for one day a week outside of the high season. Food shops open a bit earlier, at 7 or 8 am, and stay open until 7 pm. In terms of regional items of interest, look for distinctive, colorful Provencal fabrics, made into tablecloths, napkins and linens, as well as different clothing items, pottery, lavender and other dried herbs, gourmet food items such as olives and olive oil, dried fruit, preserves and local wines. The Pope's Palace is among the largest Gothic buildings in the world. Built in the 14th century, it was the center of Christendom during the time of the Avignon papacy. There are 24 rooms available to visit, including the original papal apartments. The main square in Avignon, the Place de l'Horloge was laid out in the 15th century, and takes its name from the Gothic clock tower set above the town hall. This beautiful spot provides great views and is worth the climb up the hill (there's also a train that can take you up). It's north of the Palais des Papes. Built in the 12th century, this bridge was made famous in the song Sur le Pont d'Avignon. At the time of its construction, it was the only place to cross the Rhone between Lyon and the Mediterranean. Daily 9 am-7 pm. 4.50 euros. This antique shop in the historical center of Avignon has been run by the Serignan family since its opening in 1919. It boasts a good quality and variety of local vintage pieces. Situated across the river from Avignon, this flea market is open every Saturday morning and features 80-100 vendors selling locally produced items, as well as wonderful old furniture, beautiful fabrics and lace, linens and clothing. At this shop, locals bring in their own olives to be pressed into olive oil. There are regular tastings of olive oil and olive-based products, from tapenades to soap. For a free tour of the olive mill in English, call in advance. ​Set on the banks of the Rhone River 22 mi/37 km south of Avignon, Arles, France, is where Vincent van Gogh lived and painted during the last months of his life (February 1888-May 1889). The painting of his bedroom in Arles is among his best-known works. The Fondation Vincent van Gogh operates a museum in the Palais de Luppe that pays tribute to the artist whose tormented life ended in Auvers on 27 July 1890. There you can absorb an extraordinary collection of modern art, from Jasper Johns and Robert Motherwell to Henri Cartier-Bresson and David Hockney. Vincent van Gogh did not start painting until he was 27 years old. Although he is known as one of the world's greatest painters, it is reported that he sold only one painting during his lifetime: Red Vineyards Near Arles. Arles was home to the world's longest-living person, Jeanne Calment, who lived 122 years, from 1875 to 1997. The Place de la Republique is the main square in the old town. A 19th-century fountain with a Roman obelisk, erected by the Roman emperor Contantine II, is situated in the center. The Hotel de Ville (Town Hall) was built in the 1600s and is still being used for that purpose today. The Roman baths were built by Constantine during the fourth century. They are situated beside the Rhone River as part of a larger complex of several buildings. The hot rooms and pools are still visible today. One of the best markets in Provence, this market starts at the beginning of Boulevard Emiles Combes and ends at the end of Boulevard Clemenceau, with stretches including flea market finds, clothing and shoes, food, handcrafted items from the region, art and flowers. Wednesday 7 am-2 pm.